The NTC Foundation is building a legacy for the college and its students. It advances the college’s mission and goals by seeking, receiving and managing charitable gifts and endowments for scholarships, equipment and the enrichment of academic programs and student services. 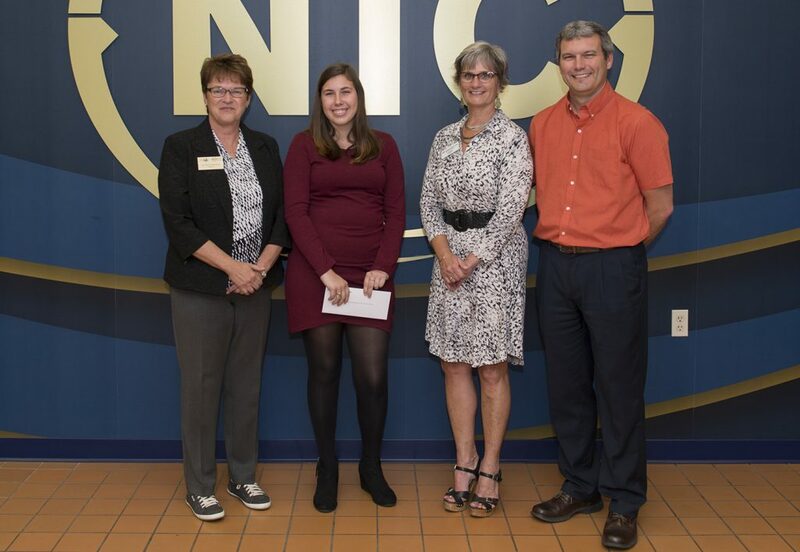 The Northwest Technical College Foundation, represented here by 2017-18 board president Lori Paris, second from right, congratulated nearly two dozen recipients of NTC Foundation scholarships and introduced Darrin Strosahl, vice president for academic affairs at NTC, during a reception on Sept. 12, 2017. At left is Dr. Faith Hensrud, president of NTC and Bemidji State University, standing next 2017-18 recipient Kaitlin Stallard, a dental assisting student from International Falls. Gifts to the NTC Foundation help our students reach their dreams. Money goes to help them with their education expenses, maintain and start new scholarships and enhance teaching and learning opportunities. Find out how you can help by giving to the NTC Foundation. NTC offers a variety of scholarships for both new and returning students. Scholarships are available in the fall and spring. When the NTC Foundation is accepting applications, a fillable form will be available. If you do not see the form, it means we are not offering scholarships at this time. Learn about our scholarship opportunities and how to apply. You can make a gift to the NTC Foundation right now!